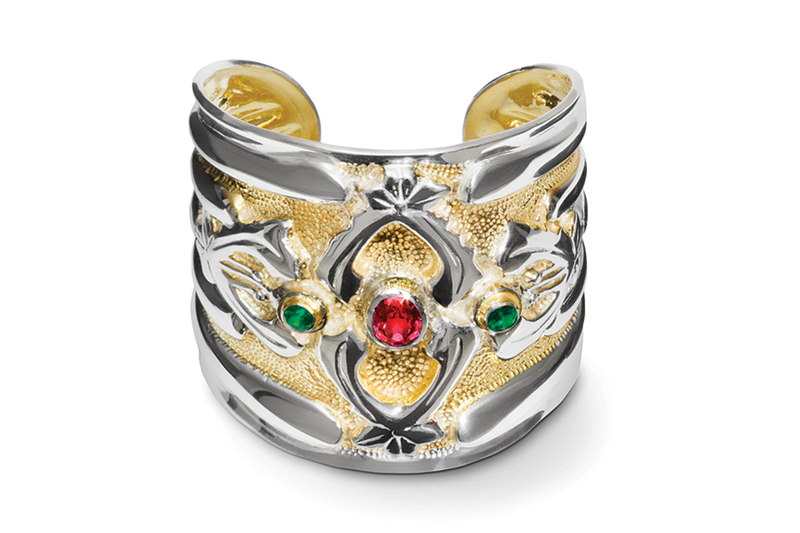 The Abbey Cuff features bold original design elements, embellished with a large center of green topaz flanked by two cranberry-colored garnets. In addition, 24K gold is hand applied within the protective edges of the design. A perfect gift for her during the Christmas season.